Easywall Mod: dressing room – bench. 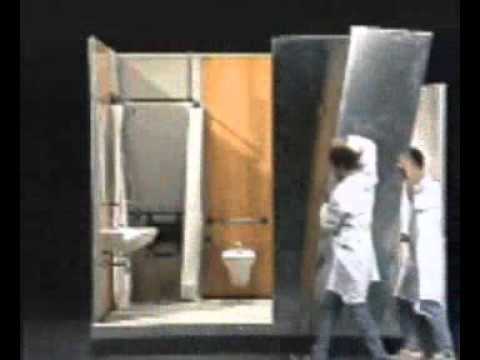 The bathroom pod has a self-supporting structure. It consists of the floor, the ceiling and the walls made of sectional, insulated metal panels of the “sandwich” type, which are strongly assembled. The “ALA System” partitions are made of 3.5 cm-thick sandwich-type panels. They comprise two hot-sprayed aluminium sheets 1.2 mm thick each with expanded polyurethane in-between – with over 50% of closed cells, self-extinguishing. In order to better understand the prefabricated bathroom DOMINO achieved from Ala Rational Systems Ltd, this video present you with an overview of the assembly of a cell bath also with regard to technical,plant and possible finishes in the bathroom.